Ödüle layık gören herkese teşekkür ederim. Hello Community, Luiz Henrique Lima Campos here today to update you on the latest news in the international community TechNet Wiki. Let’s talk first of the winners of the last day TechNet Wiki, February 20. Priscila Mayumi Sato with Article: Utilizando Entity Framework com SQL CE – as she took the Award: a Microsoft Windows 8 Mug! Congratulations Priscila and always keep helping us with TechNet Wiki! Congratulations and thanks for your commitment and dedication to contribute to the community of Microsoft TechNet Wiki. Congratulations MAKBULOGLU and always keep helping us with TechNet Wiki! The next prize will be on March 20, 2013, two awards are again one will be for the international community, and one Award for Brazil, as we previously reported we will send mug and Book for any place in the world and the winner is also to anywhere in Brazil, we expect the participation of all. Let Rewarding in Brazil a Mug of Windows 8 and to the international community we will reward with a pocket guide of Windows 8. In the eighth week, see you again!! Önceki yazıExchange Server 2010 SP3 Yayınlandı! 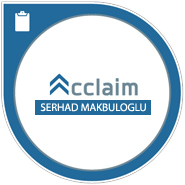 Sonraki yazıOffice 2013 Quick Start Guides Yayınlandı!